Bruxing is the act of grinding your teeth together in your sleep. This is problematic for a few different reasons. It can cause you to grind down the enamel on your teeth (which can be very painful). It can also cause problems with your bite that can make it difficult to chew and speak. Bruxism is a problem that can develop at a very young age and continue throughout your lifetime if you don’t take the proper steps to try to treat it, or at least prevent it from causing problems with your oral health. It can also cause other problems not directly related to your oral health. There is a solution, though: night guards. 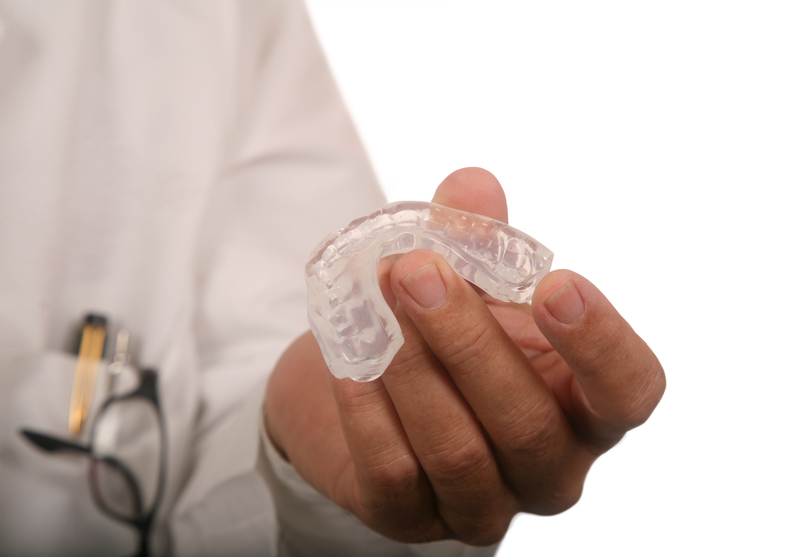 What are the benefits of getting a night guard? Minimize headaches – One problem that people with bruxism frequently experience is frequent, painful headaches. If you’re waking up in the middle of the night with headaches and you haven’t figured out why yet, it may be because you’ve developed bruxism. Wearing a night guard can help reduce the headaches associated with this problem. Protect Your Teeth – We get two sets of teeth in life: baby teeth and adult teeth. If adult teeth become too worn or are no longer working properly, we don’t get a second chance without the help of veneers or implants. 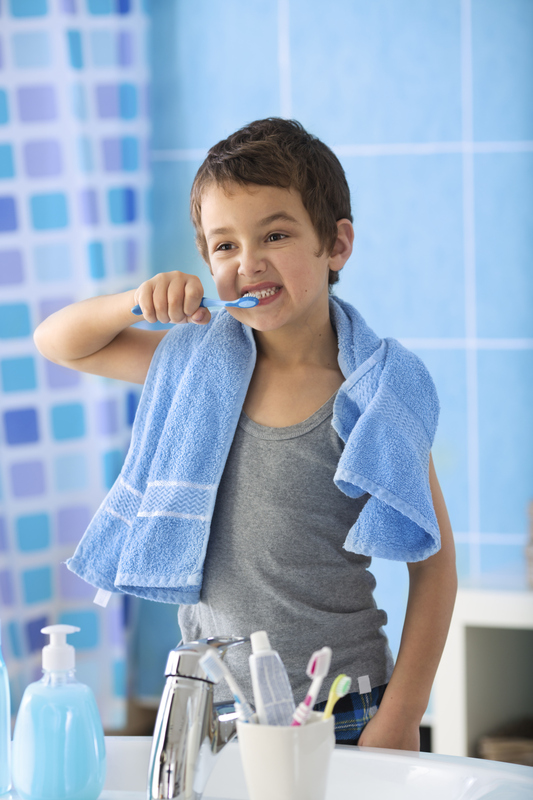 Taking care of your teeth is important – this means more than just brushing and flossing. If you know that you’ve developed bruxism, wearing your night guard regularly can help you keep those permanent teeth. Sleep Better – Bruxism can increase snoring and make it harder to breathe at night. This can make it difficult for both you and your partner to get a full night of rest. If you’re not clenching your teeth together, you’ll have an easier time getting air through at night, which will help with the snoring, the pain, and the general loss of oxygen. Be More Comfortable – Normal activities can become more difficult if you’ve developed bruxism. If your bite is off, it causes eating to be more complicated. You’re also likely to become sensitive to very hot or very cold foods, making ice cream or coffee difficult to get past your mouth. If you don’t get the problem taken care of early on, it can loosen teeth, which can also be rather uncomfortable. Bruxism is a serious problem that affects many people. If you think that you’ve developed bruxism, you may want to consult your Catonsville dentist about a night guard. If you have any questions about Custom Night Guards or wish to schedule an appointment, please contact Leikin & Baylin Dental Care of Catonsville, Maryland by calling 410-747-1115 or visit CatonsvilleDentalCare.com. We know you’ve been brushing your teeth for years, but it might be time for a new brushing and flossing regimen. People tend to fall into the same daily routine, but brushing your teeth isn’t something that should be done in a quick 30 seconds. Do you think you’re doing great with your oral hygiene? Ask yourself these questions to see if your oral health is up to the standard that it should be. Do you brush twice daily? It is important to brush your teeth twice a day to clear your mouth of unwanted debris or germs that may have accumulated during the day and while sleeping. Do you brush for 2 minutes? You should be brushing your teeth for at least 120 seconds to ensure a full cleaning. Do you floss? Flossing once daily helps to loosen and remove hard to reach plaque before brushing. Do you floss without your gums bleeding? If your gums are pink and don’t bleed when you floss, that’s great! If your gums do bleed, you may need to reevaluate your cleaning routine. Do you always have bad breath? If you constantly need a breath mint to cover up the bad breath, you may need to take a look at what you’re doing to maintain a healthy mouth. Constant bad breath shouldn’t be a problem with good oral hygiene techniques. Separate your mouth into sections and brush each section for 30 seconds. By focusing on ¼ of your mouth for 30 seconds and then moving to the next section and so forth, it guarantees a full 2-minute brushing! Make sure to brush the gum line. This is where a lot of plaque can build up and irritate the gums. Don’t forget to brush your tongue! A lot of bacteria build up on your tongue throughout the day. Brushing your tongue also helps to freshen breath. Don’t make flossing just an up and down movement between your teeth. Make sure to wiggle the floss up at the gum line to get underneath where the tooth meets the gums. Plaque and debris can get stuck in places where it’s difficult to brush. Your dentists at Catonsville Dental Care are oral hygiene professionals. When you become a patient at Leikin and Baylin Dental Care, you will immediately become a member of our dental family. Our team of dentists has over fifty years of experience treating the wonderful patients of Catonsville, Ellicott City, Arbutus and other surrounding areas. We are proud to treat patients from ages 3 to 103. If you’re interested in becoming a patient, or have more questions regarding your daily oral care, call us at (410) 717-1115 or visit our website! Be sure to follow us on Facebook, Twitter, and Google+! Fact: you’re never too old for braces. Everyone wants a smile that is bright, white, and above all, straight. It’s difficult to get that smile sometimes, though. It can require years of orthodontic dentistry and lots of metal appliances in your mouth – it doesn’t have to, though. Invisalign is a great alternative to traditional braces for both aesthetics as well as feel. Adults frequently opt out of braces because they don’t want to show a mouth full of metal every time they smile. It can be considered to look juvenile, even though it’s just about getting your teeth where you want them. This is where Invisalign comes in. Practically invisible – Have you ever seen someone wearing Invisalign? No? That’s probably because they’re really difficult to spot. Hundreds of people have Invisalign success stories to share, but the great part is that you’ll never know that they were wearing them in the first place. Unless you see someone pop them out or have worn them yourself, you’ll probably never even notice that they’re there. Removable – This is a big perk of Invisalign. Those who have had metal braces will tell you that they’re really uncomfortable to eat around. You’re restricted to certain foods and can still easily get things caught in between the wires and accessories. With Invisalign, you’re expected to wear them about 20 hours per day. You can pop them out in between meals or if you have a presentation to make without worrying about the straightening process being disrupted. Fixes the problem – Besides braces, there are other options to get straight teeth, such as veneers or other cosmetic dentistry procedures. There’s nothing wrong with cosmetic dentistry, but some people are more comfortable knowing that everything in their mouth is theirs. Invisalign helps shift your teeth into proper placement for a straight smile. You can also use them as whitening trays as you go! Normal oral health routine – Traditional braces require a modified oral health care routine that usually includes cleaning between brackets and makes flossing very difficult. Since you can pop Invisalign aligners out of your mouth, you can continue brushing, flossing, and using your normal mouthwash as you go – no need for additional appliances or cleaners. Infrequent dentist visits – When you get traditional braces, you’re required to go to the orthodontist at least once per month to get different wires and replace rubber bands. You’ll receive your Invisalign aligners all at once and switch them about every two weeks as your teeth shift. The technology for Invisalign allows you to control your own destiny with a visit to the dentist every 6 weeks or so, just to make sure everything is coming along right. Invisalign aligners can help you feel more confident and comfortable with your smile. What are you waiting for? If you have any questions about Invisalign, or wish to schedule an appointment, please contact Leikin & Baylin Dental Care of Catonsville, Maryland by calling 410-747-1115 or visit CatonsvilleDentalCare.com. When you hear the words “cosmetic dentistry,” you probably think about teeth whitening procedures and veneers – but cosmetic dentistry is more than that. It can help you increase your self-esteem and make you feel better about your look overall. Cosmetic dentistry can also help you take pain away in your mouth and solve oral health issues. Essentially, cosmetic dentistry is the practice of making a smile more aesthetically attractive and also more comfortable for those who have problems with their teeth. There are many different procedures that are considered to be “cosmetic,” some of which may surprise you. Teeth whitening – We mentioned this at the beginning of the blog, and it seems fairly obvious, but getting teeth whitening is a fairly common cosmetic procedure. If you decide to get your teeth whitened, it’s something that you should have done professionally. Over the counter products can sometimes burn your gums – though as we mentioned last week, they won’t actually harm your teeth. Dental implants – These are a great alternative to dentures since they mimic regular teeth, both in the root area as well as the crown. The nice part about dental implants is that you cannot develop cavities in implants. They can be made to match your natural teeth and are comfortable to chew and speak with. Dentures can be difficult to get around, which makes most people prefer implants. Orthodontics – Most people think that orthodontics or braces are reserved for teenagers and adolescents, but it’s becoming more popular for adults to opt to straighten their teeth as well, especially with the introduction of Invisalign to orthodontic procedures. Orthodontics really depends on the situation and person and is generally evaluated on a case-to-case basis. Fillings – This surprises most people as being a cosmetic dentistry procedure, but over the years fillings have come a long way. They started as metal structures and over time have been replaced by plastic that can look and feel like a natural tooth. Today’s fillings bond to your natural tooth and the material is getting better about staying adhered to the tooth rather than popping out over time. Cosmetic dentistry isn’t all about aesthetics – sometimes it’s really helpful to have a healthy mouth and to encourage a better oral health care routine. Some cosmetic procedures can make it easier to talk, eat, and feel comfortable with your teeth. Dentists Leikin and Baylin offer cosmetic dentistry procedures to help you with your self-esteem as well as comfort. If you have any questions about cosmetic dentistry, or wish to schedule an appointment, please contact Leikin & Baylin Dental Care of Catonsville, Maryland by calling 410-747-1115 or visit CatonsvilleDentalCare.com. In addition to offering unparalleled dental excellence, we will make you feel as comfortable as possible. Going to the dentist can be an anxious experience, but at Catonsville Dental Care, we will ease your worries. Copyright © 2019 Catonsville Dental Care. All rights reserved.